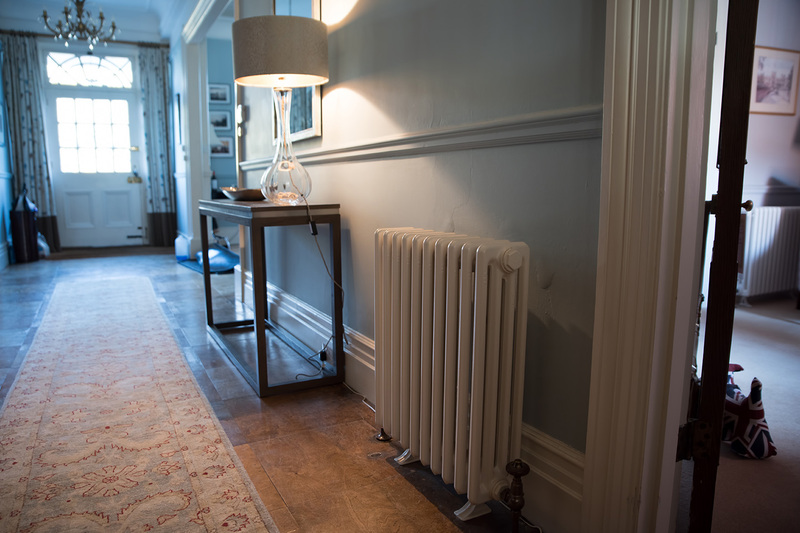 Radiators from the Priory range painted in RAL 9001 Cream teamed with Buckingham TRV radiator valves in Antique Brass with a walnut top. 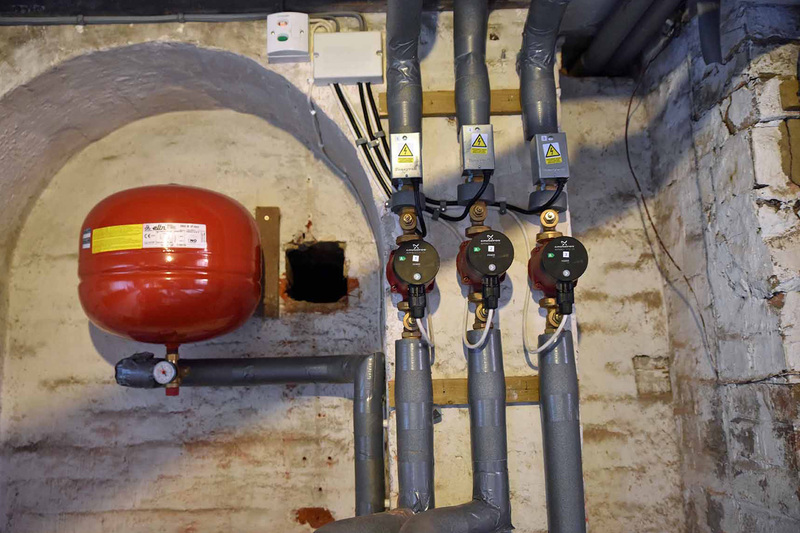 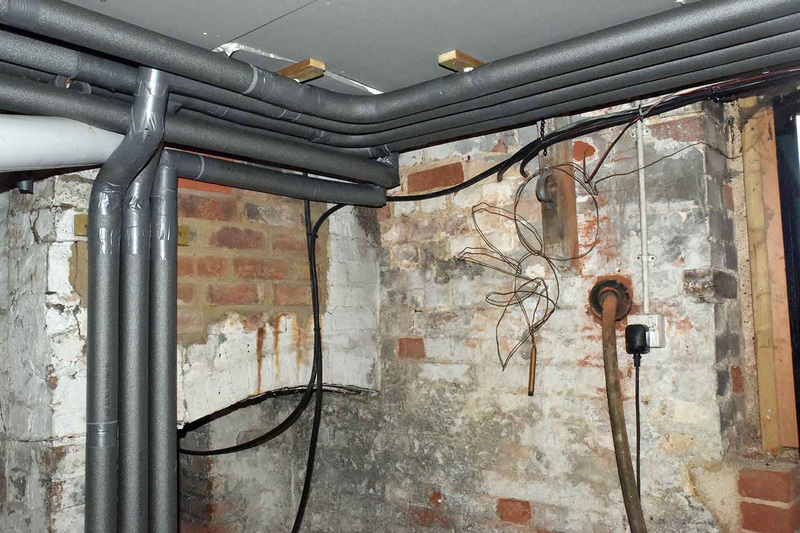 The job consisted of removing the original heating pipes from the whole house and running new copper pipework throughout. 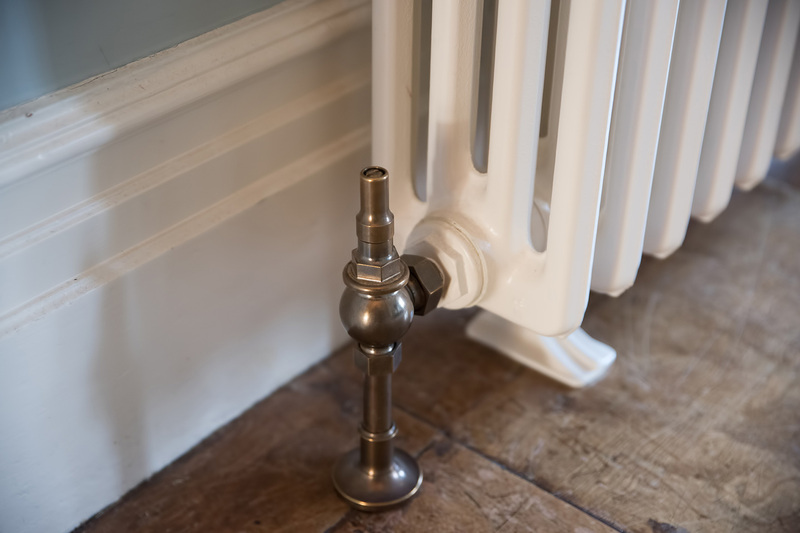 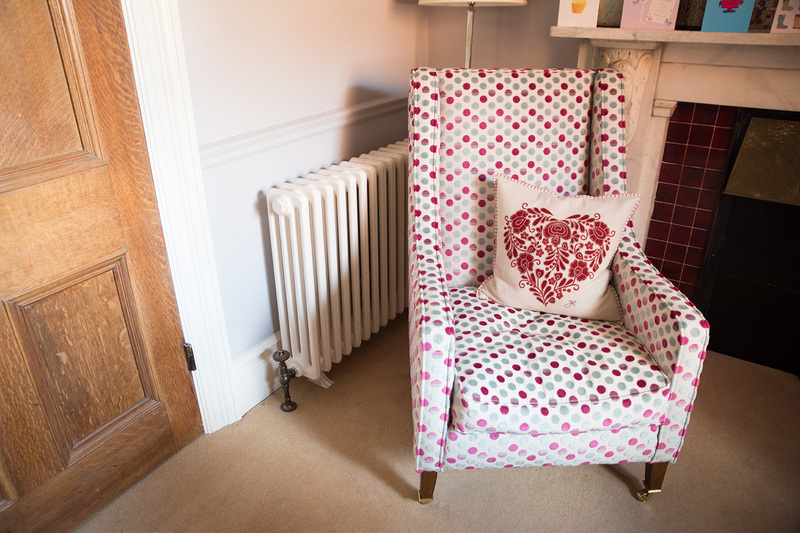 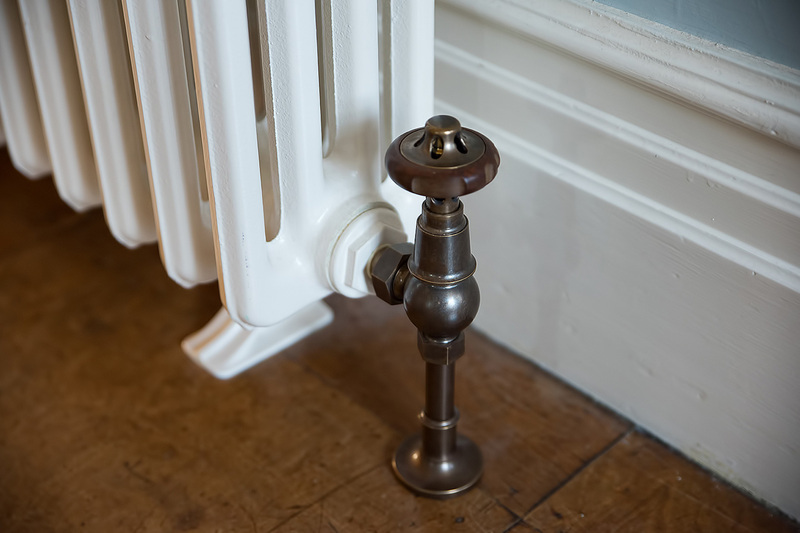 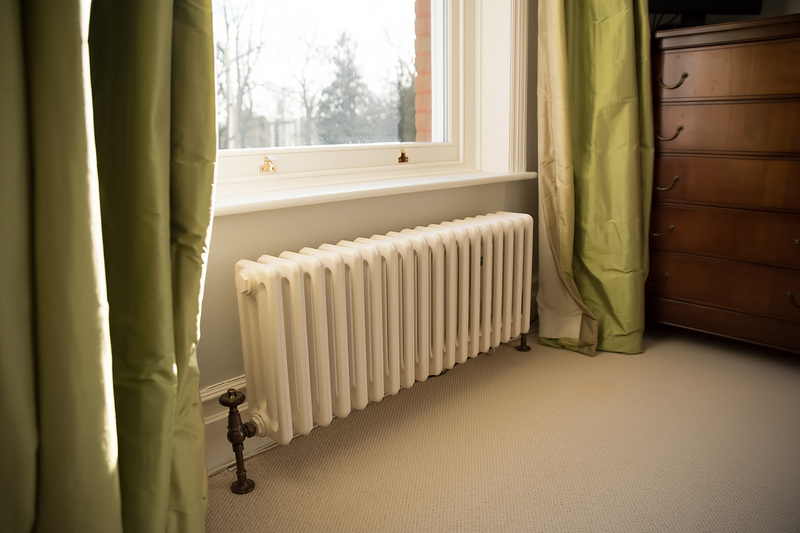 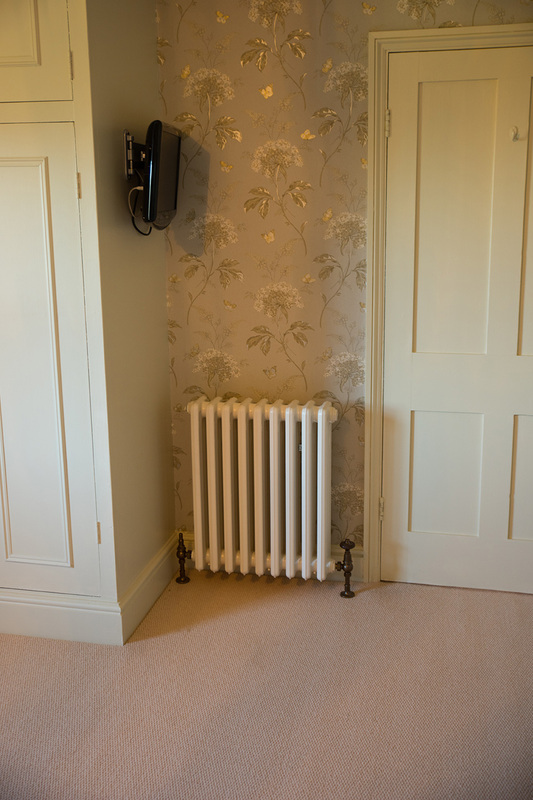 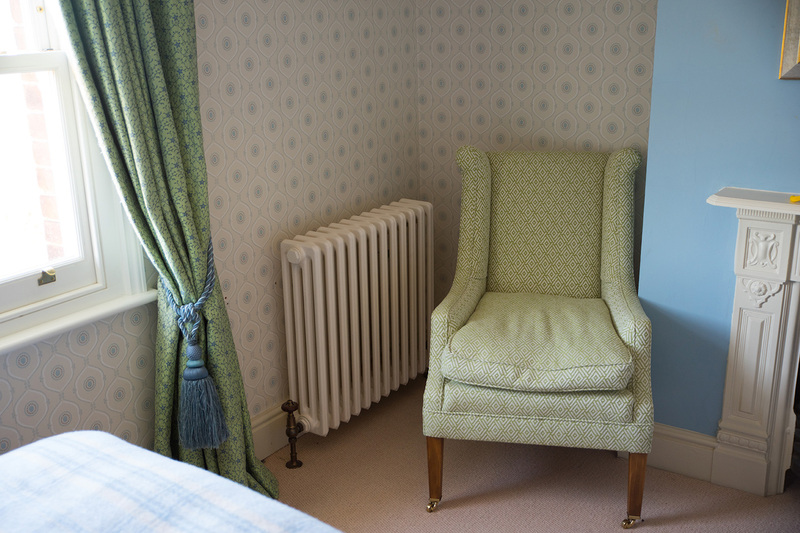 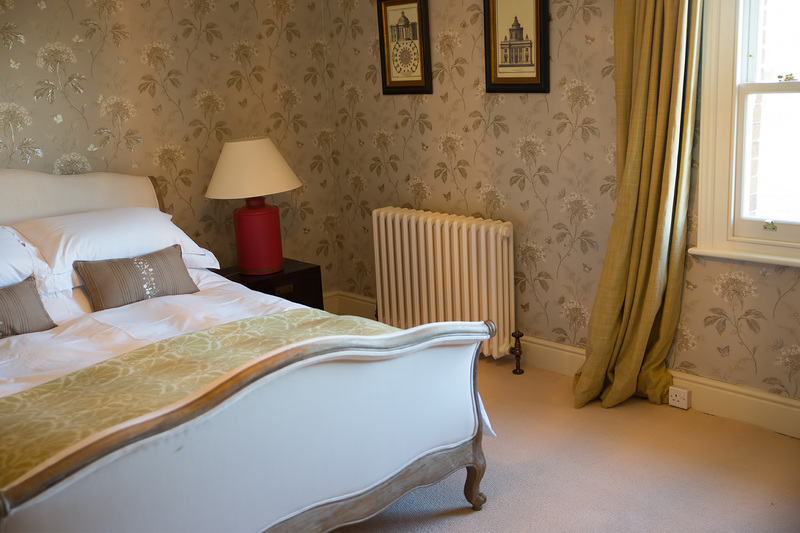 The radiators were then installed using specially made wall brackets to hold the weight and connected to the system. 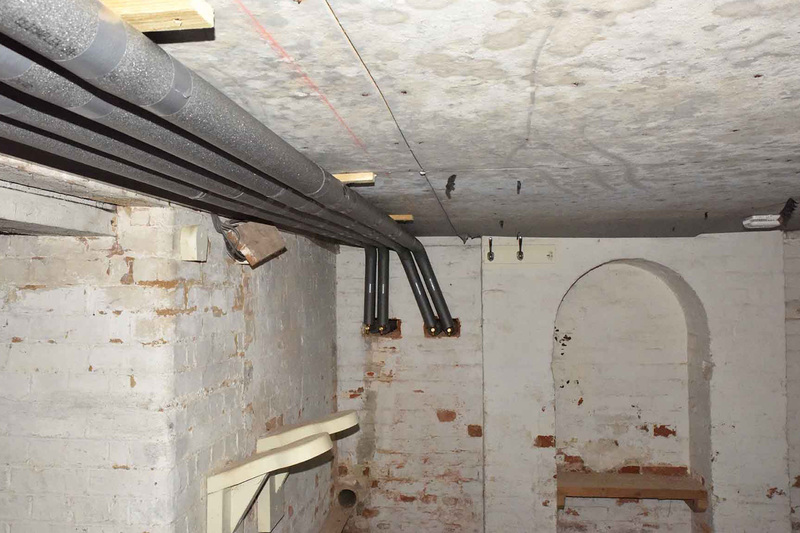 All connections came together in the cellar.